Kelsey Wong Yan Yun, 10, learning the piano at the age of 5. She wishes to be a good pianist to help raise fund for less fortunate children. In June 2014 she performed at the Singapore-Beijing SMART Recital. In August 2014, she participated in the Asia Arts Festival and won the Silver Award. In November 2014, she got Gold Certificate when she performed at 3rd Arts NOVA Festival and performed at Gala Concert in December 14. She performed at the prize winners’ concert in early February 2015 at the Library @ Esplanade. In February 2015, she won the 1st prize ‘Grand Prize Virtuoso’ UK. Ashley Ng Rui En, 10, aspires to perform music in many places to bring joy and inspiration for others. She enjoys performing beautiful melodies and has deep passion in music. She loves music as it speaks what cannot be expressed and soothes the mind for relaxation. 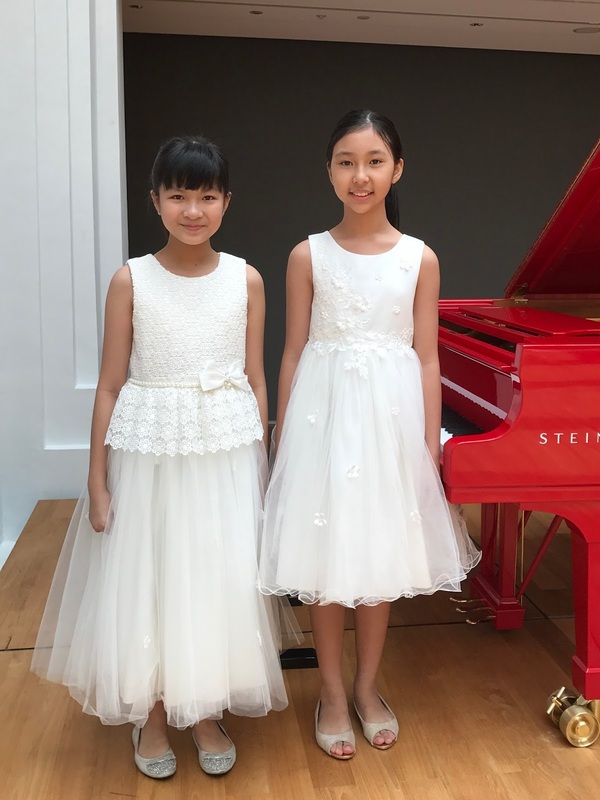 Ashley had performed in Yong Siew Toh Music Conservatory Recording Studio and Kawai recital hall held in November and December 2016. She had also performed in National Gallery Singapore: Resonates with Steinway Rising Star Series in Feb 2017 and participated in Bach in the Subway in Mar 2017.